we're trying to integrate TFS with Zendesk. TFS has a built in interface for updating Zendesk tickets when a work item is commented on. It can be defined with Service Hooks. 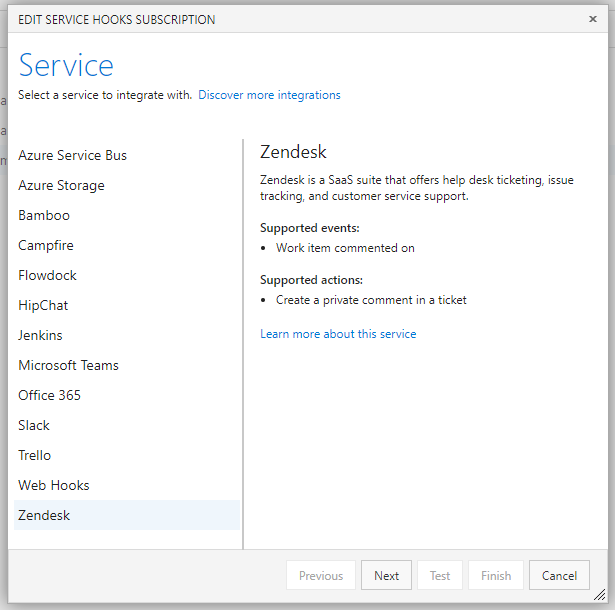 The Service Hook successfully connected to my Zendesk account, but we don't know how to link work items to tickets. I couldn't find any documentation from either project. UPDATE: I am aware of the available VSTS integration, but we have on-premesis - which is not compatible. It may be similar for TFS.